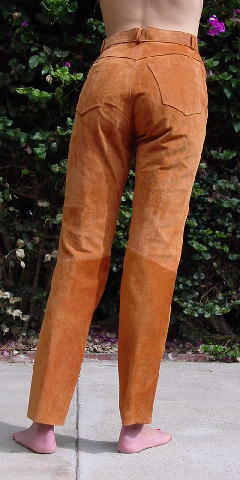 These golden-rust colored leather pants have a reddish rust colored lining that goes to the knees. They have a jean styling, with front fly zipper, 1-button waistband closure, and 5 pockets. They were used in an editorial photo shoot with the Mary McFadden jacket. 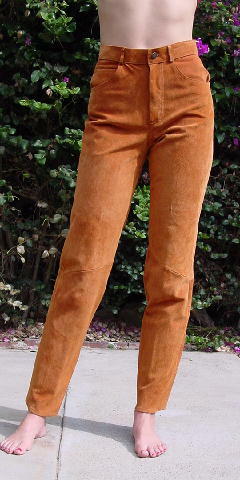 You can also wear them with sweaters, blouses, a great snakeskin belt, or a larger belt worn lower.